In Texas, which schools are failing? Let parents decide. I’m a K12 education researcher who works almost exclusively with Texas school districts. I live in Austin, and I was there when the state’s preliminary A-F rating system was released earlier this year. It wasn’t pretty. A lot of educators expressed serious concerns. The letter grades, while intended to be easy for parents and others to understand, included complex analysis and did not accurately reflect school quality, the critics said. Truth is, these systems are complicated. There is no easy way to do this sort of thing. But there is a better way. Each year, my team asks thousands of Texas public school parents what they think about their child’s school. In some of those surveys, we ask them what grade they would give the school, if schools received letter grades similar to their kids. While the survey digs deeper into specific dimensions of the school experience, such as academics, safety, non-academic supports, and leadership, this rating gives school and district leaders a sense of parents’ overall satisfaction with their child’s school. The Texas Education Agency’s (TEA) proposed A-F rating system also uses conventional letter grades. The TEA ratings are based on a complicated analysis that includes student achievement, student progress, gaps in achievement among subgroups of students, and postsecondary readiness. Given the controversy surrounding the release of TEA’s ratings, and the fact that most school leaders in Texas believe these ratings don’t accurately measure the quality of a school, we thought it would be interesting to see how the TEA grades compared to the grades our surveys collected from parents across the state. We also found that the lower the rating from TEA, the better the odds that parents gave a higher rating. In all three districts in our analysis, more than 90% of parents (on average) whose children attended a school that received the lowest rating in the district from TEA, rated that school higher than TEA. A similar trend occurs when looking at the percentages of parents who rated their school lower than TEA. In two of the three districts, just 9% of parents (on average) chose a letter grade lower than TEA. 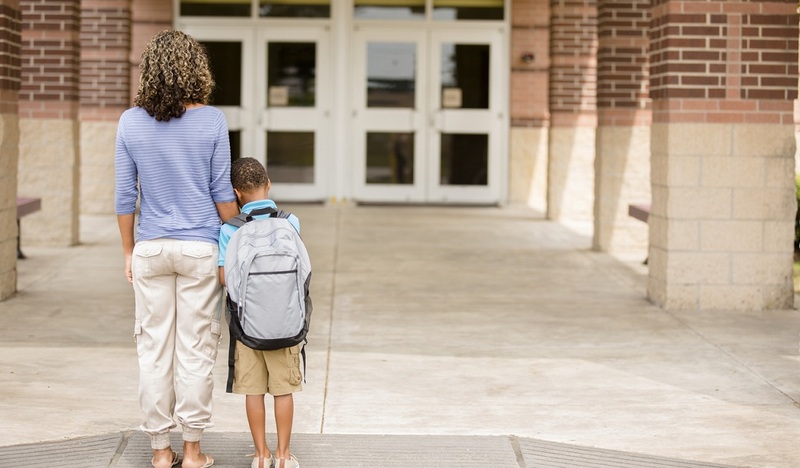 In the third district, 23% of parents chose a lower grade; however, nearly half of the schools in this district were given an A from TEA, increasing the odds that parents would give the same grade or a lower grade than TEA. In fact, parents typically say scores on standardized tests like STAAR, which are used in large part to determine the TEA ratings, are least important. The good news is that the Texas legislature is currently considering two bills that will revise the A-F system that is supposed to go into effect in 2018. Both bills propose including an assessment of school climate as part of the system, and using feedback from parents (likely collected through surveys) to measure a school’s success in this area. Whatever the changes may be, we’re hoping for closer alignment with what parents want most, and that their voices and opinions will be included when determining which schools are best serving our students and which are falling short. If you’re looking for a better way to measure the quality of your school in light of the state’s A-F rating system, or elsewhere across the country, I’d be happy to share what we’ve learned in working with these school districts. Email me at shelby.mcintosh@k12insight.com. A large suburban school district in Central Texas that serves approximately 18,000 students, 50% of whom are economically disadvantaged and 15% of whom are English language learners. In 2016, the district as a whole was officially rated as Met Standard and was given a C in Domain I from TEA. A large suburban school district in the Houston metro area that serves approximately 30,000 students, 43% of whom are economically disadvantaged and 14% of whom are English language learners. In 2016, the district as a whole was officially rated as Met Standard and was given a B in Domain I from TEA. A large suburban school district in the Dallas-Fort Worth metro area that serves approximately 22,000 students, 53% of whom are economically disadvantaged and 14% of whom are English language learners. In 2016, the district as a whole was officially rated as Met Standard and was given a B in Domain I from TEA. TEA ratings in Domain I were used for this analysis. All percentages of parents are based on the average across all schools in each district. Be the first to comment on "In Texas, which schools are failing? Let parents decide."